A superhero adventure, Wonder Woman combines perfunctory Greek mythology with wartime heroics in an entertaining package. The film pushes female empowerment in the name of peace, but is nevertheless weighed down by the genre's heavy anchors. On the hidden fog-shrouded island of Themyscira, Princess Diana (Gal Gadot) is the daughter of Queen Hippolyta (Connie Nielsen), leader of an all-woman Amazonian tribe tasked by Zeus to maintain peace and be ready to fight off warmongering god Ares. Diana is trained by her warrior aunt General Antiope (Robin Wright) to be a fierce combatant, while Hippolyta hints to her daughter that she possesses special powers. Diana rescues British spy Captain Steve Trevor (Chris Pine) from drowning when his plane crash lands in the adjacent sea. She soon learns that the Great War is raging, and assuming that Ares must be behind the carnage, she perceives it her duty to leave Themyscira and put a stop to the evil. 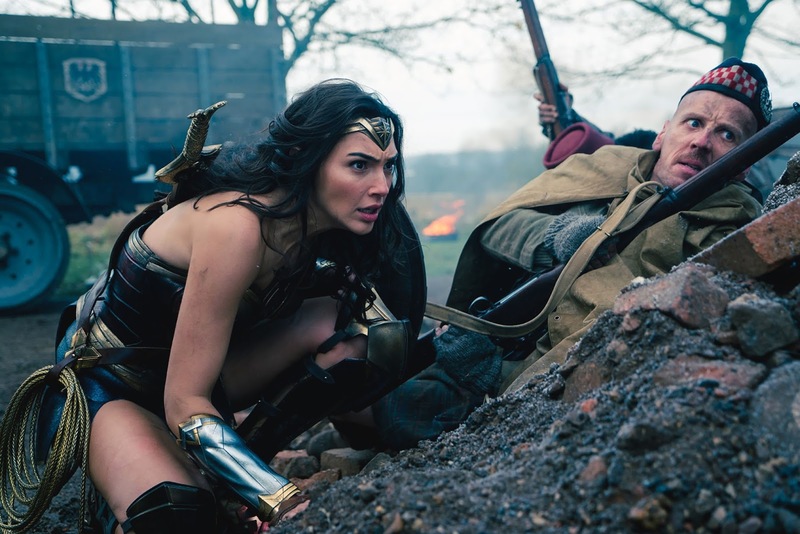 She accompanies Steve to London where he connects with politician Sir Patrick Morgan (David Thewlis), and then onto the trenches of the front lines, where Diana discovers her powers as Wonder Woman. 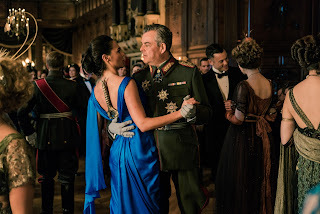 She then has to find a way to stop General Erich Ludendorff (Danny Huston), who is planning to unleash a new highly destructive poison gas with the help of the evil Doctor Isabel Maru (Elena Anaya). Directed by Patty Jenkins with a budget close to $150 million, Wonder Woman finally comes to the big screen after decades of false starts. The delays were partially caused by the critical and commercial failures of Catwoman (2004) and Elektra (2005) casting doubt on the marketability of a female protagonist in the overcrowded superhero space. Within the tight confines of the genre, Jenkins and writer Allan Heinberg get almost everything right, mixing a mythology-heavy origins story with a World War One action adventure filled with raucous action, villains and the requisite sidekicks. Themes of duty, sacrifice and the essence of humanity are dealt with in straightforward broad brush strokes. Wonder Woman is a novice in the big bad world of humans, and the film benefits from her sense of learning and discovery. Her initial childlike naivete has to be replaced by a better understanding of the complexities of what humans are capable of, and her journey underpins the film's narrative. Moments of humour also help, including a conversation between Diana and Steve about sexuality and procreation, and reactions to Diana's warrior mentality invading London circa 1918 and the muddy trenches of a stalemated front. But for all its polished elements, this is a superhero movie, and the genre is tightly handcuffed by its childish fundamentals. There will be many large scale battles, there will be an overabundance of CGI, and there will be many large explosions, pyrotechnics and destruction on a mammoth scale. It's all remarkably predictable and unspools at the expected intervals, the special effects methodically gaining the upper hand over the humans as the end credits approach. A lot of the dialogue is stiff, and most of the characters are superficial. The 140 minutes do begin to drag. Helping maintain interest is a terrific Gal Gadot performance. She steps into the role with ease, proving a perfect fit and immediately owning the best Wonder Woman attributes: feminine strength, smarts and curiosity in a perfectly calibrated athletic package. In a creatively exhausted genre running on fumes, Wonder Woman is a brighter spark than most.